The Indian cricket team skipper Virat Kohli as suggested that sitting out for some matches in the Indian T20 League's campaign for Bangalore is a big possibility. 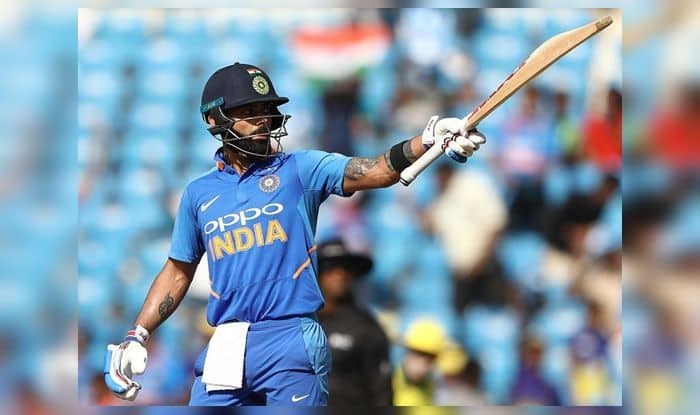 Indian cricket team skipper Virat Kohli has suggested that he may not feature in all of the Indian T20 League matches, keeping in mind to stay fit and fresh for the ICC World Cup. Ahead of the League’s opener against Chennai, Kohli said that sitting out is a big possibility, thus indicating to his UK-bound teammates to manage their workload. The Cricket World Cup which will be hosted in England and Wales from 30th May, will be followed up by the tight schedule of the Indian T20 league which concludes on the 5th of May. Kohli was speaking on the eve of the Indian T20 League opener between Bangalore and Chennai on Saturday. “We have told the players to be smart about how they feel on a particular day and then reporting to the physios. If he’s told not to play, then he has to respect that,” Kohli said. With the T20 league, which begins Saturday, culminating days before the World Cup, there has been a lot of talk about managing the workload of the players during the next two months. Asked if the workload issue will affect the league, the Bangalore captain said it will depend on how players strike a balance. “At the end of the day, I am very motivated to start tomorrow personally. I don’t know how competitive or how relaxed Indian players are going to be during the tournament. Every professional knows how to maintain a balance. Eventually you are playing for a franchise and they have trusted you to do a job for them,” said Kohli. Kohli said the talent of his team’s domestic players would be on display when Bangalore takes on Chennai. “Not many people are aware of the strengths of some of the Indian guys we possess in our team. And that’s one area we want to focus on. In the past, the focus was always been on getting strong overseas players,” he said. “This time around, guys from the domestic circuit are really confident. Tomorrow you will see the kind of bowling options and depth we carry. Bangalore haven’t beaten Chennai since 2014 but Kohli made it clear that he doesn’t believe in rivalries and head-to-head records.